For some strange reason I’ve always wanted to make a jigsaw puzzle game in PowerPoint. 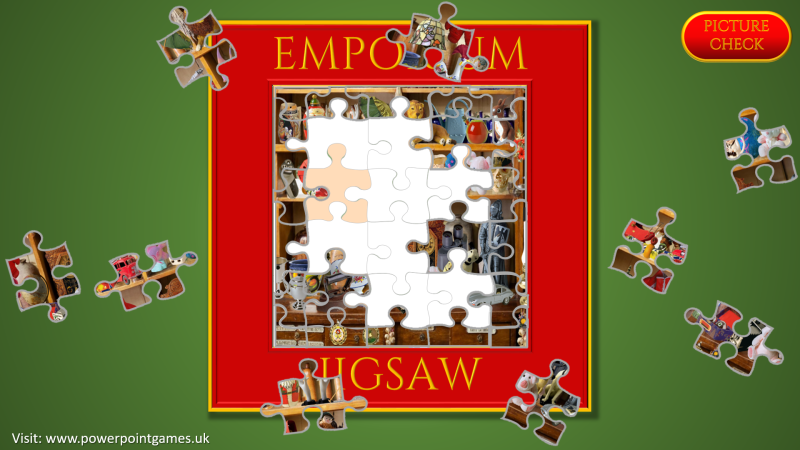 I could never work out a way to make the individual jigsaw pieces as pictures that can be moved and animated. A while ago however, I saw a You Tube video that took me part of the way, then I added the last steps to make it happen. 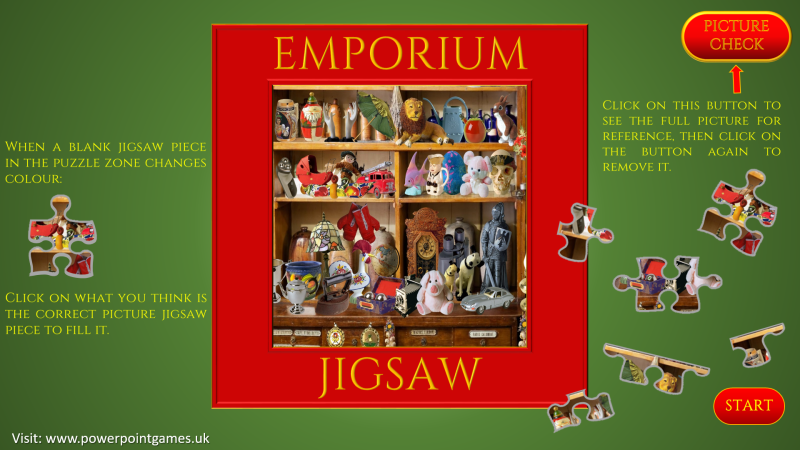 This game uses an image from ‘Einstein’s Enigma Emporium’ as the main jigsaw picture. You just look for a blank piece in the centre puzzle zone to change colour, then click on the picture piece that you think should fit.